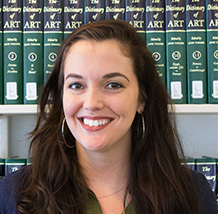 Carolann Madden holds an MA in English and Irish Studies from Boston College, an MFA in Poetry from San Diego State University, and is a PhD candidate in Literature and Creative Writing at the University of Houston, where her primary areas of research revolve around poetry and folklore. She is particularly interested in the role of women and outsiders in early folklore collecting in Ireland, as well as how and why creative writers, from Lady Gregory to Tim Robinson, utilize Irish folklore in their work, and to what effect. During her Fulbright to NUI Galway, she will undertake archival research in the James Hardiman Library on folklore and folklore collectors in the West of Ireland.